We are offering Chain Hoist Trolley Pull Type to our clients. We provide high-quality products to our clients. Non Sparking Wrenches, Double Open Ended Non Sparking Wrenches, Open End Non Sparking Spanners, Aluminum-Bronze Alloy. 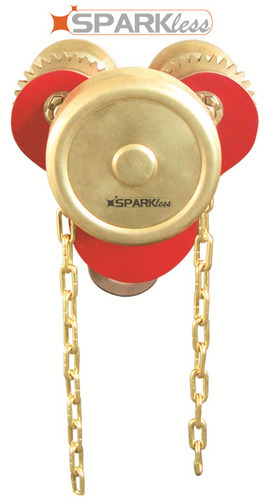 Sparkless ® Non Sparking Tools are most suited for potentially explosive environments. Most of our Non Sparking Tools are Forged after Casting to achieve better Quality, Performance & Attractive Finish.